This luxuriously comfortable Muddy Girl boy short features black lace accents at the waist and legs. Cute meets comfy in our Naked North Snow camisole with black lace, silky-soft fabric and adjustable spaghetti straps. The Naked North Snow soft, silky tank top is a perfect complement for lounge shorts or pants, jeans, or casual shorts. The extra-long length extends beyond the waist for a sleek look. Work out and stay cool in our Mossy Oak Break-Up Pink casual tank top with racer back. The tank is semi-fitted with a scoop neckline and an extra-long cut. Perfect to mix and match with any of our Casual or Active wear pieces. Work out and stay cool in our Mossy Oak Break-Up casual tank top with racer back. The tank is semi-fitted with a scoop neckline and an extra-long cut. Perfect to mix and match with any of our Casual or Active wear pieces. The flowing mesh dress features black lace trim and Naked North Pink Camo accents. The camo pantie is trimmed in black to complete the look. The flowing mesh dress features black lace trim and Naked North® Snow camo accents. The camo pantie is trimmed in black to complete the look. Trimmed in black lace with a black bow accent, the Mossy Oak Break-Up chemise has a gentle flair to a mid-thigh length. The flirty ruffled hem finishes the look. With the adjustable lingerie straps and tie strap in the back, you can get the perfect fit. Knock 'em dead in this 2-piece baby doll set. The flowing mesh dress features black lace trim and Mossy Oak Break-Up camo accents. The camo pantie is trimmed in black to complete the look. The Hooded Sweatshirt is constructed like your favorite ‘hoodie’ with a generous fit, two hand warmers, and a three-piece lined drawstring hood. The Benchmark FR symbol is noticeably located on the wearer's left wrist for easy identification. The inner face of our knit fabric is fleeced, which holds body heat and insulates from the cold. 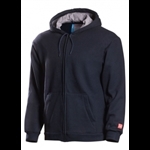 Wear the sweatshirt as part of a layering system for greater insulation.